For our oldest actors, ages 14-18*, entering high school through summer after high school graduation PLUS, for our 10th anniversary summer, alumni** of all ages! 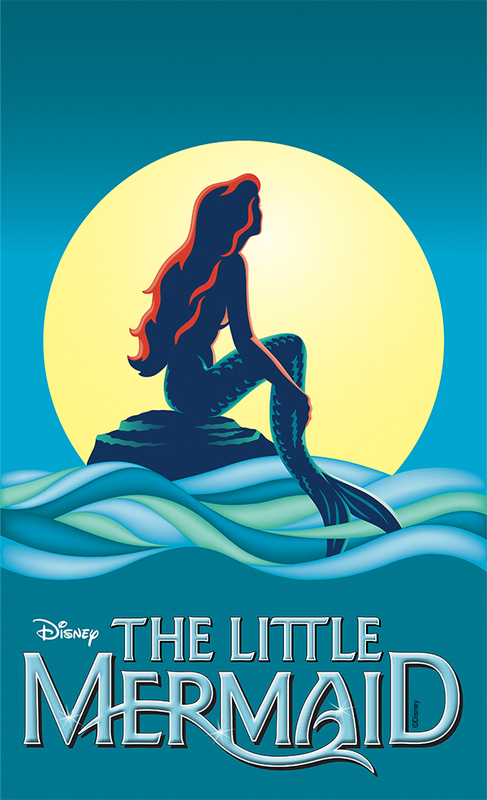 Performances of The Little Mermaid slated for July 18-21, 2019! *The role of Flounder is open to younger actors, age 10-14….see below for details! Start with your Rec Department Registration and pay your participation fee via Los Gatos-Saratoga Recreation Dept. Complete LGYT’s Online Audition Form. The online audition form provides us much needed additional info and is required before you audition. Print and complete the Paper Packet. The completed Paper Packet must be brought with you, along with a recent headshot photo, to your first audition! Prepare a musical theater song, 32 bars or approximately 1 ½ minutes, to sing at Auditions. Please bring a recording of the song (instrumental version only) either on a CD or an MP3 player (eg. phone or tablet). Read the Parent Handbook now and refer regularly to it, and to this website, for all the info you’ll need! Auditions will be May 1st – 4th. Sign up for your initial audition time on either Wed. May 1st (6-9pm) or Fri. May 3rd (4-7pm). Callbacks scheduled for Fri. May 3rd (7:30-9:30pm) and Sat. May 4th (12-6 & 7-9pm) You will be assigned time(s) to attend Callbacks after your initial audition. Mandatory Rehearsals start July 8th till opening. Tech begins July 14th(load in till opening). There will be 12 noon Dress Rehearsals on July 18th & 19th before each Cast’s opening night. *FLOUNDER Youngsters interested should register with the Reprise Production of The Wizard of Oz, note their interest in playing Flounder in their Wizard of Oz Online Audition form, and go through Wizard of Oz auditions next week! **ALUMNI not in Los Gatos for auditions May 1-4, please submit a video of a 1-2 minute audition song from the musical theater repertoire…email coordreprise@lgyt.net for details on how to submit your audition video! Alumni Callbacks will be via FaceTime on Sunday morning May 5th.